At Providence Dental, each member of our team plays a critical role, from the hygienist to the dentist. 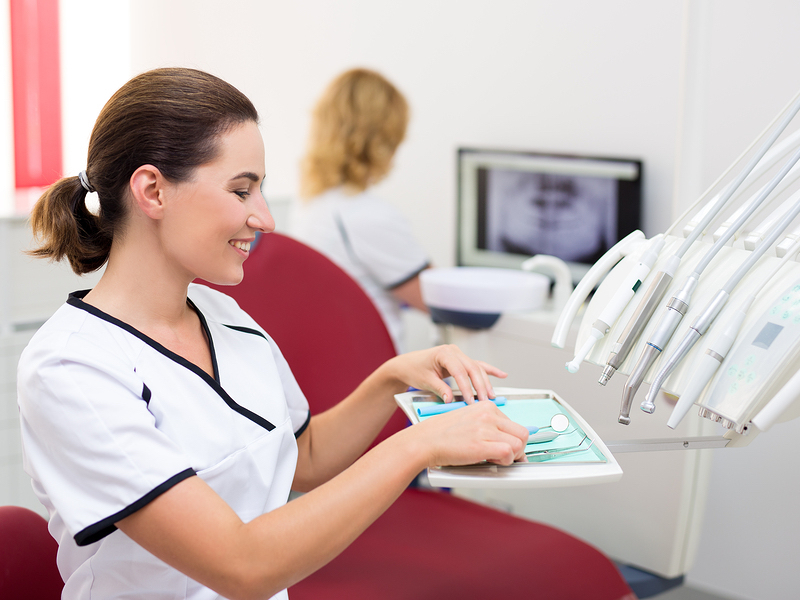 In this post, we’ll examine the role of the dental assistant. Dental assistants help us operate smoothly and provide a high level of care. Duties include everything from assisting in patient care to helping the office run smoothly and efficiently. A dental assistant’s knowledge of patient care and dental lab procedures is probably more extensive than you realize. Assistants may help the hygienist with polishing during a cleaning, or explain proper brushing and flossing techniques. It’s the dental assistant who preps examination areas before appointments begin. They clean up afterward, too, sterilizing equipment. And before supplies begin to run low, they order new ones. Whether a patient is receiving dental implants, undergoing an orthodontics adjustment, or settling in for teeth whitening, the dental assistant has set the stage for a comfortable and efficient procedure. But along with the dentist and our hygienists, dental assistants are part of the Providence Dental team. All of us urge you to take care of your teeth, and to remember your six month checkups and examinations. Call us today to schedule an appointment.